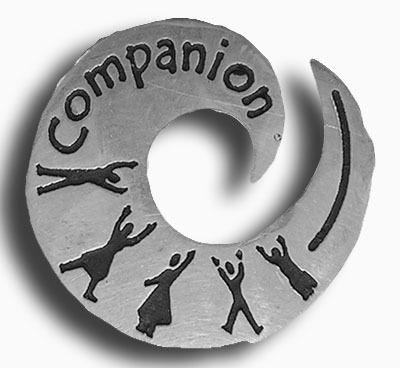 The Centre for Christian Studies has announced the names of three people it will honour as “Companion of the Centre” in 2013: Marion Logan, Jessie MacLeod, and Miriam Therese Winter. Want to know more about these fine individuals? Throughout her life, Marion Logan has responded to social justice concerns and sought feminist consciousness in church and society. She has held appointments as staff member in the YWCA, Conestoga College and the Women’s desk at the United Church of Canada. Marion was involved as part of the World Federation of Methodist and Uniting Church Women as an Executive member for 8 years, and also the Women’s Committee of the Methodist Church in Southern Africa’ during and after the apartheid. In 1998, Marion was one of the Canadian delegates to the World Council of Churches Assembly held in Harare, Zimbabwe. The Assembly, with global representation, was the end of the major initiative of the WCC, “The Decade of Churches in Solidarity with Women – 1988 – 1998”. At home she initiated the gatherings of the Ontario Women’s Conference upholding the many gifts of women and many other projects focusing on feminism. For years, Marion has mentored women in ministry and lay women, and also helped many men come “to grips” with issues of gender and religion. For all her many achievements she was awarded an Honorary Doctor of Divinity from the Victoria University, the University of Toronto. Her papers are now housed in the archives of The United Church of Canada and attest to her lifelong work. Despite this busy absorbing life on the wider stage, Marion remained loyal to her local congregation taking leadership roles, assisting groups in discussing cutting edge theological issues and engaging people of a variety of faiths. 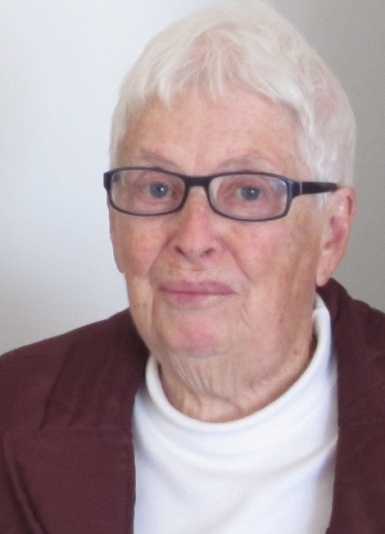 Marion has continually epitomized the values of the Centre for Christian Studies by practicing experiential, action/ reflection learning, by working for social justice, and by supporting the praxis of feminism. Marion has encouraged others in their path to and through CCS and other places of learning, and she still acts with a lively questioning mind exhibiting an open willingness to challenge herself and others. Marion is a woman of strongly held values that she has shared with others, encouraging them, inspiring and motivating them, and enlivening them on the way. We honour these very great gifts with this award. Throughout her ministry, Jessie possessed the gift of integrating education, pastoral care, social justice, administration, compassion, and welcome. Jessie worked in various positions and places in the United Church: Director of Religious Education and Youth Work, Chalmers, Ottawa; Director of Christian Education, Mount Royal, Montreal; Congregational Life and Work Staff Team, BC Conference; Associate Director of Student Affairs, Mount Allison University, Sackville, NB; Associate Secretary, Leadership Development/Deputy Secretary, Christian Education, Church House, Toronto; Pastor in Residence, Atlantic School of Theology, Halifax, NS; Commissioned Minister, St. Andrew’s, Sydney, NS. Throughout her career, Jessie knew firsthand the treatment of deaconesses/diaconal ministers as “second class” ministers, but with subversive humour and commitment, Jessie confronted these attitudes with creativity and enabled others to reflect upon their faith and work in an effective, interdependent, relational and supportive way. Jessie is a lifelong learner. Jessie graduated from the United Church Training School in 1950 and, at the same time, obtained her BA degree from Victoria College. In 1952, she was designated a Deaconess. 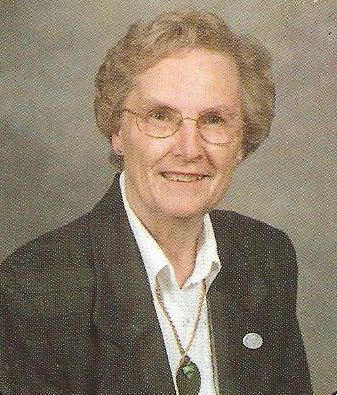 In 1959 she received her Masters of Religious Studies from Union Seminary College, New York and, in 1994, was awarded a honourary Doctor of Divinity degree from the Atlantic School of Theology, Halifax, NS for her distinguished service to the church, community and beyond her denomination and community. The Centre for Christian Studies is pleased to announce Jessie MacLeod as one of the 2013 Companions of the Centre. Miriam Therese Winter, the poet, liturgist, musician and teacher gives voice to the ideals of justice and right relationship epitomized by the Centre. Through talks and workshops, in prayer and in song, Miriam Therese addresses issues of justice and gender, peace and reconciliation, global inequity and concern for planet Earth. As a musician and writer, Winter was an early advocate for an emerging feminist spirituality. Her Spirit-inspired songs evoked emotion and an awakening to fresh understanding. Her works include Joy Is Like the Rain, Mass of A Pilgrim People, WomanSong, EarthSong, SpiritSong and more recently Earth Cantata. A Medical Mission Sister, Miriam Therese is currently professor of liturgy, worship, spirituality, and feminist studies at Hartford Seminary in Hartford, Conneticut, and is founder and director of the seminary’s Women’s Leadership Institute, a program in applied spirituality. In her courses she makes use of adult education principles through the integration of the intimate and personal with the social and global. She has a Bachelor of Music degree from Catholic University in Washington, DC, a Master’s degree in Religious Education from McMaster Divinity College in Hamilton, Ontario, a Ph.D. in Liturgical Studies from Princeton Theological Seminary, along with three honorary doctorates. being a diverse and welcoming community. This is a message for Marion Logan from Joyce Scott. So glad to see your picture when I turned the pages of The Tapestry. I guess being away out west here, we don’t hear all these things. I would love to get in touch with you. Please send your address to my daughter’s email address (where this is coming from) & she will get it to me. Congratulations on an honour well deserved!